Attachment Parenting International regularly fields questions from members regarding different aspects of attachment, child development, and challenging family situations. Easily the largest area of concern is among divorced and separated parents who are involved in custody cases in which the other parent is demanding overnight visitation for an infant or young child. Parents involved in this stressful situation believe that overnight visitation is harmful not only to their individual attachment with the child but also to the child’s overall development. Isabelle Fox, PhD, a psychotherapist, author of Being There, renowned expert on API’s Principle of Providing Consistent and Loving Care, and a member of API’s Advisory Board, wants to leave parents with the truth – that, yes, overnight visitations can be quite harmful to the young child…but that, unfortunately, the courts system is woefully behind on education in this arena of child development. Dr. Fox spoke during the second day of API’s 15th Anniversary Celebration gathering in Nashville, Tennessee, last weekend, in a special Hot Topic session, “Custody and Separation.” The session was attended by parents, therapists, and others who work frequently with attached parents dealing with the heartbreak of shared custody, especially with infants and young children who are not yet able to verbally express their needs and wants. Among these parents was Christy Farr, API’s former executive director who lives in Nashville. She went through a divorce when her children were very young and struggled through a time when there was little information as to the effects of various custody arrangements on the wellbeing of children. Even now, as more information becomes available, parents are still challenged by a courts system that focuses more on what the parents want in terms of equitable division of assets rather than on the rights of the child. “It’s been only in the last ten to 15 years that I’ve been confronted with so many people going through divorce,” said Dr. Fox, who not only advocates for attached parents in shared custody cases but who is also involved in divorce prevention. 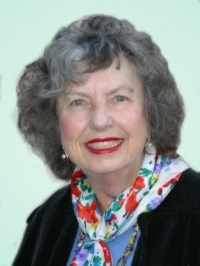 Her and her husband, Bob, an attorney, are co-authoring a new book, Who to Marry? Regardless of the many reasons why divorce rates have soared the past decade, marital separation is certainly a concern of child development: “All children experience it as a great stress,” Dr. Fox said. When one parent moves out of the house, and out of the family dynamic, that poses a major break or disruption in attachment that, if not handled sensitively, can cause long-term damage to the child’s emotional health and ability to maintain healthy relationships. While divorce and separation is never easy for any age of child, those who are school-age or older are able to verbally express their feelings in the presence of a supportive parents. But what about a preverbal child – an infant or young child not developmentally ready to describe their feelings about a situation in words? No doubt that the end to a marriage, and family dynamic, can be especially confusing and frightening to this age group. 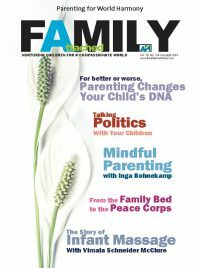 Probably the most talked-about tension surrounding shared custody is when the courts system grants overnight visitation rights of an infant or young child to the parent who is not the primary caregiver, so that a baby who is accustomed to cosleeping and nursing at night is forced to be separated from the primary caregiver and put into the care of the parent who may be reluctant to continue attachment-promoting practices. Infants and young children are especially vulnerable to overnights, not only because the more intense Attachment Parenting (AP) practices such as cosleeping and nursing at night are likely at this age but also because children this age have a difficult time understanding separation. “Aloneness feels much more intense during the night, the dark,” Dr. Fox said. She gave the example of Steven, a typical ten-month-old baby who has learned to handle the nighttime hours by seeking comfort in the smell, touch and holding, singing voice, and rocking motion provided through his mother. Steven’s father demands overnight visitations and the courts system grants his wish. While the situation could be aptly explained to an older child, who can also voice his concerns, Steven has no language development either to express his feelings or to be prepared through explanation for the sudden change in nighttime routines he’ll experience going from the familiarity of his mother’s care to unpredictability and perhaps fear and confusion, as in the case of a father who does not practice AP himself. It is impossible for a parent to explain to a ten-month-old baby that she will be back. “All that stays with him is loss and anger and fear,” Dr. Fox said. “There is no cognitive understanding” of what is happening. In Steven’s situation, there will be a lot of crying at his father’s home during the overnight stays. Eventually, the crying may stop but the rage remains. When Steven returns to his mother, he will be extremely clingy, irritable, and anxious about separation from her for several days after each overnight visitation. Steven will feel a sense of abandonment during each visitation, then anxiety upon returning to his mother, and literally a need to re-acclimate to his normal care routine. It’s an enormous amount of stress on a young child’s emotional capabilities. The biology of this stress is illustrated through the high levels of the hormone Cortisol, which floods the brain and impairs development. Lifelong effects of chronic Cortisol release include anxiety disorders, anger problems, and withdrawal. In addition, overnight visitations do nothing to improve the attachment bond with the non-primary caregiver and actually strains it. Dr. Fox’s recommendation against overnight visitations with a non-primary caregiver applies always with the primary caregiver, often the mother but perhaps the father or a grandparent. The trauma an infant or young child can experience is related to the threat to the attachment bond, not to the biological role of each parent. Therefore, “overnights away from this father [the primary caregiver] could be just as stressful as overnights away from the mother,” Dr. Fox said. “There are 3 million stay-at-home fathers in the United States right now,” she added. “So, you can’t be judgmental; you have to see what the situation is,” and not assume the mother is always the primary caregiver. The same holds true for families in which both parents are primary attachment figures to the child, a phenomenon known as tandem parenting and explained by James McKenna, MD, during API’s 15th Anniversary Think-Tank Event. The solution here would be to allow overnight visitations with the parent who is accustomed to putting the child to bed at night, whether or not he or she is the primary caregiver in all childcare tasks. “This is because sleep is different; it’s a process,” Dr. Fox said. Night and day visitations have very different impacts on a young child, Dr. Fox said. A parent demanding overnight visitations must be especially careful of who is the primary attachment for the child, as well as whether the child is developmentally ready to handle an overnight visitation. A child normally isn’t ready to spend a night away from home, except an emotionally close family member, until at least the school-age years. Rather, a parent who is not the primary caregiver and would otherwise wish for an overnight visitation should request more daytime visitation. If the parent can wait until the child is at least three years old before requesting overnight visitations, the effect is much smmother on the child who is able to better sense time and has improved language development. The child can not only better express their feelings but also can understand a parent’s explanation of what will happen during a visitation and afterwards. Whether a parent would ignore a child’s developmental needs in favor of overnight visitation rests in the parent’s maturity level as well as pressure from the courts system. What it comes down to is the decisions made by the parent seeking custody. Dr. Fox told the Biblical story of Solomon who encountered two women claiming the same baby as her own. The woman who was truly the mother was the one who cared more about the baby’s wellbeing than custody of the child. The take-home message, then and now, is: The parents who love their children will focus on what’s best for their child, regardless of whether visitation is granted during the daytime only or overnight. While there are many cases of the father being the primary caregiver, it is a recent development that non-primary caregiving fathers have started to demand overnight visitations. Part of this new trend, believes Dr. Fox, could be that if a father can get partial custody, he pays little to no child support. “In years past, the courts never took children away from their mothers until three or four years old. Even then, preschoolers have a very difficult time moving from home to home,” Dr. Fox said. Inevitably, some parents will have to deal with shared custody and overnight visitations of their children at the non-primary caregiver’s home. So what does Dr. Fox recommend? Talk about the situation and play it out with dolls or teddybears. Teach the non-primary caregiver how to put the child down for a daytime nap to ease into the bedtime routine. The future of marriage and stable family life lies in what our children learn about dealing with conflict and stress in relationships from our own marriages – and AP is helping parents to lay the foundation for future, healthy marriages. “To make a good marriage, you have to have the capacity to form real, long-term commitments and you teach that in the first two years of life,” Dr. Fox said, further illustrating that overnight visitations are a bigger issue than who has custody rights. My baby’s father demanded custody after 7 months of not being in my baby’s life. She is 9 months old now. His in the military so the judge felt sorry for him and awarded him 8 hours every day he is home on leave and every night on skype. She is still breast feeding and no bottles can be made from my breasts. My daughter nurses every 3 hours. I told this to the judge and he didn’t take it into consideration. He still awarded her father to have this time with her. He has never had her alone and has only seen her a handful of times. He had leave the beginning of the week and my daughter came home screaming her head off each time and was pushing away from him to get to me. She has no idea who this man is who is allowed to take her for 8 hours every day… The last day he had her she came home with a stomach ache and mass constipation. Then the next day she wouldn’t leave my side! She was attached at my hip and wanted no one else to hold her. She missed me so much I could tell! What the judge award her father is so unfair to my daughter and I wish it could be changed. But the judge is taking that he’s in the military and can’t be here for her. Even though he cancelled our wedding and me moving down there where he lives. My daughter doesn’t deserve to be thrown in a house of biological strangers. Just in three days I saw such a change in her psychologically. She felt as if I abandoned her and just left her. It’s unfair what the court system can deem fit for a child. They don’t know the underlying problems it can cause on young children. My judge specifically said that my daughter is only 9 months old, she doesn’t know the difference between people.. She clearly does, and she clearly felt like I abandoned her. I too would greatly appreciated help with resources. My baby is 15 months and he wants 5 night 2 night by the time she is 2. I am also going through custody and the father wants overnight all weekend and he lives three hours away. I say we need to move slow, that it will be traumatic for our son. that he has only met 6 times in his 14 months of life. Can you please give me some resources that I can take to court? And I wish everyone the best of luck in keeping there children safe and raised in loving environments! This is great and all, but like all mothers (or fathers/primary caregivers) out there, my hands are tied by the legal system. I do see my 2 year old ratcheting up her acts of anger – throwing tantrums for no reason, throwing her toys at her 10 month old sister when right before the overnight visitation, she would lovingly hug and kiss her sister for no apparent reason. It is heartbreaking to see the stress my little girl is going through, but what can I do? For every study such as this, there are others that noncustodial parents can cite for their argument. Like (I suspect) many custodial parents, I am fighting suits from my soon to be ex husband to allow more overnight visitations for him to drive down his child support obligations. What can I do, as a citizen of this country to change the way the legal system works, and as a mother? I am frustrated and at a loss. maybe it is true for baby less then 6 months old, my son he does not want to go to his mom and he wants to spend week with me. Fathers more often are better care givers then mom, my son refused his mom to change his diapers, I did. Hello everyone i have been reading all of you guys posts and it’s just very terrifying. I experienced this at a young age. I had my daughter when i was 20 years old but i just turned 21 i am currently in court fighting my child’s father for basically custody and him having overnight visits with our 9 month old daughter. Peyton father shared alot of information about himself and his parents. He stated to me that he has cancer, he’s bipolar, and he has seizures. He shared with me that his father is a abusive alcoholic drug abuser and that his father beats on peytons dad and his mother. Now my child’s father still lives with his parents and he’s 20 years old. We have been to court once and we have a temporary order of him getting our daughter for 4 weeks straight from Saturday morning starting from 9 am to 6 pm and Sunday morning from 9 am to 6pm after that he gets overnight visits from friday until sunday 5 pm. The judge granted all of this but didn’t care about any of the information i have given him about peyton dad having seizures, bipolar, and cancer and how violent his parents are the judge overlooked all of that. I requested for his medical records and they want give them it’s like he’s hiding something from me. The judge also ordered him to pay me $208 a month for our daughter because he doesn’t have a job but stated to me that he does. My thing is what the judge ruled for my child’s father is unfair because the judge showed me favoritism to the father then to the mother. I have no problem with her spending time with her father but overnight visits for her to be so young where she can’t talk. She has only been to his house once out of the four weeks the judge granted. He cancelled most of the visitation. That right there shows that he doesn’t want this baby. I’m fighting him hard because im not going to let it go down like this. I really need help Dr. Fox i mean I’ve tried to get help from alot of people and it’s like they just don’t care. Also one of the Victorian universities has written papers advising against them too. I am a single father and my ex and I have been separated for a year and a half now. The first six months of our separation Mom limited my time with our two year old daughter to once every few weeks and would be present during visits. It made the visits uncomfortable and after almost six months of this I petitioned for visitation rights and a step up plan. The step up plan was granted and I began having three six hour visits per week with our daughter and every other weekend visits from on Saturdays from 9-5. The schedule was working well to reintroduce my parenting into our daughters life. After six months of this we were supposed to step up the visit times from six to ten hours. Mom said that she would prefer to not have our daughter start overnight visits until she turned three and only start when she had her own bedroom. Her third birthday came around and I had evicted my roommate to give our daughter her own room. Now Mom is saying that our daughter is too young and shouldn’t start spending nights until she is five our six. I feel like I am meeting her half way on things but she is not meeting me. She has full time school and an externship, so in the morning she takes our daughter from her boyfriend’s house to her grandmother’s house. Then her grandmother brings our daughter to my house at noon. Grandma picks her up at 6:30pm. Mom then picks up our daughter at 9:30pm and takes her back to boyfriend’s house. This happens Mon-Weds. Our daughter holds onto me and refuses to let go when grandma comes to pick her up again. I think this is way too much traveling around for a three year old and think it would be better if she stayed over on Monday night, Mom picked her up after school on Tuesday night and then dropped her off on her way to school the next morning. I also want to be able to watch our daughter on Thursday and Friday for the eight hours that Mom is gone. Our daughter is clearly stressed out Mon-Weds and Mom blames it on me, says that I’m not a good enough parent, rather than trying to understand that the amount of times our daughter is being transported during the day can seriously affect her in a negative way. I think better stability would make her happier, but Mom is insisting that her anxiety and apparent stress is my fault. I think it would be better for our daughter to just spend the night once a week and minimize the transportation on the other nights. I filed for a modification and we went to mediation but Mom wouldn’t cooperate or compromise at all. She refused to even pitch a schedule when I asked her what she might like to do to resolve the issue but she then denied acknowledging that our daughter is experiencing stress at all. Any thoughts?? Hello I’m in a situation where I cannot compromise with my son dad also. my son is 5 months old he lives 6 hours away from me I have never stopped contact I asked him to come down before Christmas he refused and wanted me to go to his after I was recovering from a c section. His mother’s intentions throughout my pregnancy are questionable I think she wanted my child for herself. The farther did not contact me until I was 8 months pregnant and said have the baby where he is i said no he said twice not like he’s going to kidnap me I need advice he’s currently trying to take me to mediation but it’s not going to work there’s no comprising with him oh and he’s not paid for his son. babies should not be overnite from there primary caregiver usually the mother we give birth. My granddaughter is 2 years old ,and she and her mother, my daughter, live with me and my husband. She has had to “go” with her “father” for visits 2 and 3 times each week since she was 8 months old. Overnites were also given at that time. It has been a horrible experience for all of us, No words can describe the feelings when you see your baby daughter screaming in the arms of a man she doesn’t even know. Then she looks out the back window at us wondering why we have let this happen. Over and over we have watched and tried to talk to her father about waiting until she was older, or at least knew who he was and wanted to go with him. To him it didn’t matter. Tennessee Juvenile Court Magistrate had given him the right to do this and it didn’t matter about the baby and how this would affect her. Because he had a better attorney than my daughter, she was painted up to be the mother trying to keep the father from his child. At times, the magistrate would just laugh in court, then let the father have everything he asked for. Father kept saying he wanted more time with my granddaughter, because he wanted to “bond” with her. Well, he kept getting his way and eventually got 50/50. Child support was cut to almost nothing, which my daughter never even asked for, and he went from being the father who denied the child was his, to the one who controls everything. He is a very cold person who shows no emotion. After spending the night with him at 8 months old, she quit sitting down in bath tub and hated getting a bath. That is still going on. My daughter has tried talking to him, but since the court has given him free rein it is of no use. He started in the beginning leaving her with people and one judge told him if he had to leave her, he was to bring her back home. I am her grandmother and am here. This is where she lives. He continues each week to do the same as he pleases. Seems to be doing it just to show my daughter he can. The director in the last parenting class told him he was controlling and not trying to do the best for the child. He ignores all comments and then tells the judge that our family is all very “hostile” towards him, etc. etc. Daughter has new attorney and court in August, but that doesn’t help with what this child has to go through each week because of him. She never wants to go to her “Daddy.” We have made pictures which show his face and hers. It is so obvious. What can we do. We would love for her to have a loving daddy who really wanted to spend time with her and not just count up hours to lower the child support. His time spent with her has to be very little. We are all so disgusted with him and the judge acts like we are wrong . He is using the system to do as he pleases. We wish he would just keep his small amount of money and his lies and leave us all alone. I worry that unless the new judge changes things in August my granddaughter will become another statistic in Tennessee. Would appreciate any imput. I need to add to the above that my daughter and this young man were never married and really didn’t even know each other. When she became pregnant he said he didn’t have time for a baby in his life because he had gone back to school. Then after baby was born he started filing papers in court. Tennessee doesn’t seem to care about the child. The father doesn’t care about what he is doing to her. Never has she ever wanted to go with him and still doesn’t. When he first got her for long periods of time she wasn’t even talking so she could tell us nothing. Now, though she is talking quite well, she tells almost nothing. It’s as though she has been told not to or just knows it wouldn’t matter anyway. It is breaking our hearts. I am 19 years old, her father is 20 and My daughter is a year and 8 months. For the first year of her life I (her mother) would have her during the weekdays, then on the weekends both my daughter and I would spend the night at her father house (her father and I have not been together since we found out I was pregnant and he cheated). It worked since him and I could still get along. Then I followed my dreams and went to college 300miles away from him. I love living in the country and my daughter does too. But it made it hard to establish custody and visitation. I have primary custody and made it very clear that I believe that a child needs both mother and father in their life. So I have my daughter for twenty days and then he gets her for ten days and we switch off like that so it doesn’t interfere with our college class schedules so we meet on the weekends. But every time she comes home she is more violent with biting and pinching, bossier (pulls me around), she also is extremely clingy And won’t let me out of her sight And she refuses to go to sleep at night. If I try to get her to lay down she squirms and bites and flings herself around until she escapes the bed and takes off running. I don’t understand why she’s so different every time she comes back home. And it makes me sad to see her so distressed. I am a single father with a two year old son. We were never married and are not together. His mom demanded I start keeping him over night 2 to 3 nights a week when he was only 2 months old which I thought was crazy. Two weeks later I find out she is dating and needed time. In less than two years she’s been married and divorced and rushing into another relationship with a guy she’s know less that two months moving in to her house. I believe a ever changing home environment can be worse. I noticed his behavior change in each case. Of course she denies it. Our 2 yr old granddaughter is in fight for her life. Her father got unsupervised visits. Driving on a revoked license, no current license. Drug and alcohol history, mentally unstable . No stable home, bed ,or clothes. Tells us he didn’t feed her for 8 hrs cause she is not hungry. His current girlfriend just got out of jail on a burglary charge ( 2 of them). Than put her in a car of unlicensed driver and no car seat. And Michigan courts find nothing wrong with this picture! Now, I hear about how stress in young children can affect them throughout their lives, physically and mentally. I try to be positive, and when i mention these concerns to him, he gets angry and defensive. I finally give up and tell her we have no choice, a judge said she has to do it. After all these years of every other weekend with him, still don’t see any bonding, love or affection between them. So sad and worried. How can i make it easier for her? Hi Everyone. I am a mother in a current custody battle and I came to this site for support. Here is my suggestion to mothers fighting in court for their children: Go to Google Scholar and find recen articles that speak against overnight visitation for children your child’s age. Use keywords like “divorce no overnight.” Start collecting evidence against the other party that would hurt their case for overnight visitation (e.g., abuse, inexperience, emails, texts, etc.) Try to limit your conversation with them to email and text so you can use it in court. Schedule a few consultations with Attorneys. Many offer free consultations or can discuss ways you can still get legal advice (even if it’s email only advice). Keep your cool. Court’s penalize women for showing emotions and crying or coming off vindictive. It’s a horrible double standard. If you feel in your gut your child is unsafe or is distressed, GET PROOF. Have an unbiased, non family member witness the child exchange to see what you see. They can testify in court. As a matter of fact, try to have many witnesses observe on different occasions and use both men and women witnesses, just in case you have a biased judge. Don’t try to manipulate the witness. Let them draw their own conclusions so that nothing can come back to bite you in court. However, if their conclusions don’t substantiate your own observations, don’t have them testify. Use non friends because they would be considered biased. YOU have to become your child’s legal advocate, especially if you don’t have an attorney. Consider hiring a part time baby sitter or nanny. This person is not family and can get to know your child and testify as to what changes they see. Google. Google. Google. The Internet has a lot of legal information available if you find a credible source. I’m praying for all of you. God bless your children. As an attorney who has handled divorces, custody disputes, and every other small town dilemma faced by my fellow citizens…I have read through the above and many of the comments with some interest and great sorrow. Part of that sorrow is due to how many people seem not to be unaware that they live in the most narcissistic culture of all times. And the Grand Irony of our narcissistic society? We consistently fail to look in the mirror. 1. Most Americans (from all economic classes) are too immature to breed, but do so anyway. 2. The courts have been starved of resources for thirty years – thank you concepts such as privatization, trickle-down, and the dominance of voodoo behavioristic “social science”. 3. Study after study after study, from neurology, from ethology, from anthropology, from psychology, and all combined, confirm that to raise a physically and morally healthy human we need less conflict, less “competition” based cultural ideals, less ignorance on the part of people who last took a good basic human biology class 20-40 years ago. 4. Stanford offers their entire first year course from Robert Sapolosky for free on line. EVERY Judge in our country should be forced to watch all 25 lectures. 5. Midweek overnights for most children of divorce are an incredibly bad idea for the well being and development of a child. I base this on over thirty years practicing law — why? Because most young Americans are bad at parenting — but father’s especially. And it is the isolated few, economically sound, psychologically grounded and regionally secure, as well as surrounded by allo-parents of all sorts who are also grounded, that can pull off “co-parenting”, The rest are mostly creating more clientele for the drug companies, by expanding the pool of ADHD, ADD, anxiety-prone, and stressed out little humans to need more professional paternalistic services to help them attain some level of functionality. I’m currently going through a custody battle with my ex. Our daughter is 7 months old. Since the pregnancy her father hasn’t had a license due to a DUI. We split during the pregnancy, and when she was born we attempted to work it out and I would stay with him or vice Versa. He would get angry with her in the middle of the night and yell, for waking him up. We continued to have conflict and long story short I left for good. He denied signing the birth certificate and he wasn’t helping finicnially except a couple hundred here and there which wasn’t enough to help with the formula alone. She was with me everyday, every night. I even took her to work. He would see her when his mom was able to meet me due to him having no license and he would have her depending 4-6 hours at a time no overnights. She was too young , and he would yell at her at night. He ended up filing for full custody. And they granted one overnight a week, plus a mid weekday evening visit. I also got a new job for the medical benefits for my children, and more pay to support them as well. Since the overnights she comes home and is fine until bedtime. She wakes up all night long crying. Only wants me to hold her, once she’s asleep and I lay her down she wakes and cries until again I’m holding her. This is then causing her to be tired the next day and the sitter has noticed the pattern. She also isn’t eating well for him, and when she’s with me she eats great. I’m not sure if this is part of her separation anxiety as well. But HELP!!!! No sleep, and an anxious and upset 7 month old, and the courts and my lawyer do NOT CARE!!! I’m trying to push for more frequent visits with no overnights until she’s older and more adjusted. What can I do in court to find common ground and understanding? Taking her to the doctor? Seeing a therapist? Sleeping professional? Help! Do you think a father should have unsupervised visitation and eventually overnights if he tried to kill the child’s mother? My child is 4 months old and has no relationship with his father. He hasn’t visit since my child was born and is demanding overnight weekend visitations. I understand that shorter and frequent visits are ideal for babies and toddlers. So I offer a short and frequent time but being the person that he is, he refused and wants it his way only. I am breastfeeding and co-sleep with my child. The temporary order that was given was that he gets 2 unsupervised hours a week. He said he was to busy on the weekdays as a way to hopefully get overnights weekends. I’m glad that didn’t happened. What concerns me Is that if its normal for a 4 month baby, who doesn’t know father at all (has no relationship with him or his family) , who was never present and even neglected him before he was born, who has no experience (most likely it will be parents taking care of my child) to get unsupervised visitation rights? Even if the baby is so young and has no relationship with him? I would have expected for me to present at first to help my child transition because he hasn’t been apart from me no more than 25 minutes since my child was born. Clearly, there’s no trust with him and his family for neglect, verbal abuse, and aggression. My wife and I have been separated for about 6 months now, and have finally finished the divorce this month. She had always wanted to crib him as soon as we brought him home, but I convinced her that co-sleeping was much healthier for our son’s temperament and attachments. How it used to work is that she would get up in the morning, and I would stay asleep with our son until he woke up, and play with him for several hours, before bringing him to play with my sister-in-law’s child (1 week older). After my wife got home, I would start my work, and come to bed in the middle of the night. Since my wife has moved out, our son stays with her, and I spend several evenings a week with him, plus all of sunday, but no overnights. It has been the most depressing time in my life, feeling like I’m watching my son grow up from a distance. I was so happy having my son be the first thing I saw when I woke up every morning, and she refuses to let him sleep at my house overnight, her excuse being that he needs to nurse at night (he’s over 14 months now). I feel that one of the reason that our son only cries if he gets hurt or surprised is that I was always there to preemptively handle his needs, be it hunger, boredom, temperature, etc. This has established a trust in him that he doesn’t have to worry about being hungry, thirsty, or scared, because I will always be there to comfort him. His favorite place in the world was my shoulder, and he could fall asleep there peacefully in the middle of the 4th of July fireworks. He used to wake up in the middle of the night when I came upstairs after working, no matter how silent my steps were. As soon as I got into the bed, he’d hold onto my finger and fall back asleep. Now that I don’t see him as often, he never wants to fall asleep when he’s with me; even if it’s all day. He gets the biggest smile and runs as fast as her can towards me every time he sees me, and I can still soothe him more effectively than anyone else. I wanted to have custody of our son, but my wife’s family has FAR more money than me, and she knows how to play her cards well, given everything that I’ve taught her about raising children (I’ve helped to raise my nephew, and read countless books and medical journals on child rearing and developmental psychology, so I always have to help her when she’s — for example — wondering why he screams when she gives him a bath that she’s drawn, and hasn’t thought to take into consideration that he doesn’t enjoy the scalding-hot bathing that she does). I miss him being the first thing I see when I open my eyes every morning, and I know that he’s also suffered from me not being around as much. But what can I do? The system is rigged to say that the child’s attachment to the mother is greater than anything else, and that their place is with the mother. While that may be true in cases where the father isn’t involved in the child’s life, or would rather go out and chase skirts, the opposite is true for me. My ex wife stays out late, has had boyfriends, and luckily has had her mother come from oversees to watch him. She’s going back at the end of September, and I am worried what will happen to our son. I am hoping that my ex will agree to have me watch him during the days, and her watch him after she gets home. She hasn’t had to watch him alone for an extended amount of time, and spends an exorbitant amount of time with her nose in her phone, so I’m worried what might happen. She thinks the best way to remedy the issue is have our son go back to China with her mother, and stay there for two months while we figure out how to afford the 3-4k per month for quality childcare. I apologize if I’m digressing. I think you get the point that I’m trying to make. My Daughter is 4 and she is very proud of herself that she is able to sleep in her own bed at My house. She also wants to spend more time with her Dad. Her AP Mom still co-sleeps with her. I am and have always been an involved Father, and I read stories with my daughter until she goes to sleep. Then I go to my sleeping place. My daughter is not disrupted if I get up in the middle of the night, or get up early to make breakfast for her. No Dr. Fox. You are mistaken. Kids need do learn to deal with their fears at ages 3 and 4. If handled with care they can thrive in a divorce situation. My baby’s father has petitioned for parental rights this whole year. He has been granted more and more time with the baby regardless of our son’s sleeping and eating patterns, the lack of mediation or co parenting classes. Now our son is 15 months old and a truly horrible evaluation “professional” has said that my son should have over night visits with the father starting very soon. The baby has always slept with me and nurses still at night. I know he will be terrified if this is forced upon us by the court. I got a new attorney who said we can challenge this. I am wondering how and why the Non-primary “caregiver” is allowed to have these overnights so early when it is clearly not in the child’s best interest? Are there any studies which show how harmful this is? Common sense tells us that this is not good for a baby to be flipped away from it’s mother just for the wants of the father.. but the courts don’t seem to consider common sense. My daughter is 5 years old, her father saw her an estimated 12 times in 4 years when it was convenient for him. My daughter would scream and cry fearfully she did not want to have visits with him, overnights were worse she would come home literally clung to me with her head buried on me and wouldn’t leave my side so when I couldn’t take seeing her like that I said no to unsupervised visits, so he contacts even less frequently than before to see her, waits a whole year then I get served he took me to court for full custody, he did not get full custody he did get more visitation but the fact that the law says it’s okay for a parent who CHOSE to be absent to choose to be a not absent parent even after waiting 4 years to do so and the active parent has no say in the matter is outrageous! She still isn’t comfortable staying the night with him. She had an accident (which she’s never done since potty trained) when she stayed with him and she told me it was because she tried to hold it the whole weekend until I could help her wipe properly so that shows me shes still not comfortable with him for an overnight/ extended period. I fight for gradual frequent visits until she’s comfortable with an overnight but I lost that fight. Something needs to be done, too many children suffer anxiety and low self esteem issues because they’re rushed in to an overnight schedule before they’re ready. Every child is different and some need longer than others! My Granddaughter has a 1-year-old child. She was not married to his Father. He lives 10 hours away. He comes and gets him on Friday at 3 PM, after driving 10 hours, he turns around and drives 10 hrs back to his home. Then he brings him back on Monday at 3 PM. This time he gets to keep the Baby ten days. The Baby leaves screaming and when he comes home he doesn’t want his Mom out of his site. She has tried to tell the Judge and the Guardian Ad Litem that this is not in the best interest of Kaiden. But it seems everybody is more concerned about what the father wants than what’s best for Kaiden. The Father is constantly telling lies on Kayla, my Grandaughter and it seems no matter how much evidence Kayla supplies to prove he is lying, he still gets everything he wants. The GA doesn’t even have children and she is a Lawyer, but doesn’t seem to care about the effects this is having on Kaiden. He also comes home with bruises, diaper rashes and one time he appeared to be drugged to the point he couldn’t even sit up. Pictures and Doctor statements seem to fall on dead ears. Help, Please, Please. I have a 3 month old breastfeed baby. I separated and filed for divorce while I was still pregnant. At this time divorce is pending. I believe our daughter is to young for overnight. The father has put in a motion for child visitation. My judge is a man’s judge. Does anyone know what would be a reasonable time sharing schedule I should bring to the table to be fair to our baby, father and myself? My situation is very different. I’m the Grandmother who has been primary caregiver for 7 yrs although the Mother has been there threwout the 7 yrs her son has dependent on me. I recently took both parents to court. Father has been MIA for 7 yrs recently seen his son a few times even pulled him out of school on a week visitiatation although his Mother and I got him back. He was scared to go back to school after what his Father did as well as not wanting anyrhing to do with his Father. Yet the judge granted custody to the Father. Gave Mother everyother weekend. Me nothing. My grandson is heartbroken. He suffers aniexty and wakes up angry in the night. Of course he wants me around him and he is by my side evryother weekend his Mother has him. She isnt very active as well. The Father has stripped him from everyrhing and everyone that loves my grandson. My son is 3. I breastfed for 2 years, hand expressing at work for over half of that time. When I picked him up from overnights as an infant he wanted to nurse to sleep as soon as he saw me and he was exhausted–slept for an unusually long period of time. But the most heartbreaking times were at night when he was a little older and he would constantly wake up and put out his little hand in the middle of the night to touch my chest in the dark to make sure I was still there. My daughter is 3 1/2 and her biological father has only seen her for 1 hr on her 1st Birthday. Now he’s married raising her 3 children and have a child together but now he wants visitations and overnights in less than a month and judge granted it! My daughter knows my fiancé as her dad he’s been in her life since day one and now she gets to be confused of why do we go eat pizza with this stranger and why do i have to leave my momma, daddy and my bed? This just doesn’t seem fair to her.